When it comes to choosing the perfect diamond, shape is the most important stylistic decision. A woman who gravitates towards one diamond shape may despise another shape. This is the most classic shape of a diamond. 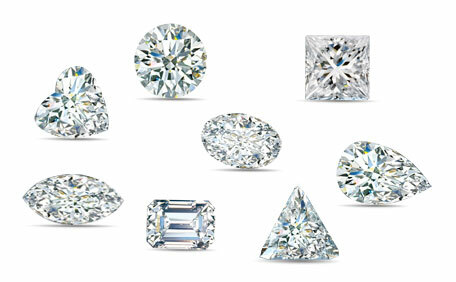 Chances are it is the shape that comes to mind when you first hear the word diamond. This is also technically the most brilliant of the diamond shapes. 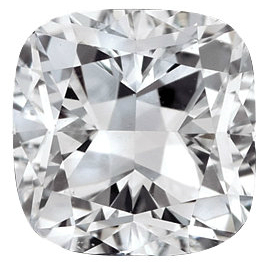 This shape is classic and smooth like a round but offers a slightly larger appearance to a round diamond of the same carat weight, because of its elongation. This is a very lady like shape with a vintage appeal. Many women appreciate how slender it can make the fingers look. This shape has four rounded sides and corners and is very popular with those who love vintage jewelry because of its similarity to the "Old Miner Cut;" a shape used in the earliest days of diamond cutting. This shape has the fewest facets. Because of this, it is usually best to stick with a higher color and clarity rating. Though it has the fewest facets, it is a very elegant and traditional shape. This shape has a rich history in french aristocracy. It is still loved by women today as they generally have large size appearances and also slim the appearance of the fingers by drawing the eye from point to point. This is a square-shaped diamond. Princess shaped diamonds are the second-most brilliant diamond cuts. It is also second in popularity to the round. This shape is also called a square emerald. Like an Emerald Cut diamond this shape has elongated step facets that offer a different cleaner sparkle. 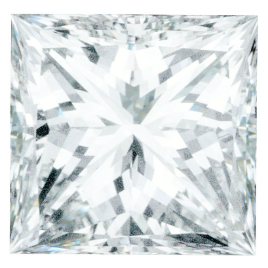 Also like an Emerald Cut diamond, these are the most impressive in higher color and clarity grades. This is a very unique cut that is not easy to create. This may increase the price of a diamond compared to some of the other fancy shapes. Is the perfect ring on Instagram?